their understanding of different interactive teaching pedagogies and their assessments. 1. The short course is designed for new, experienced, primary, secondary & higher secondary schools science teachers. 2. 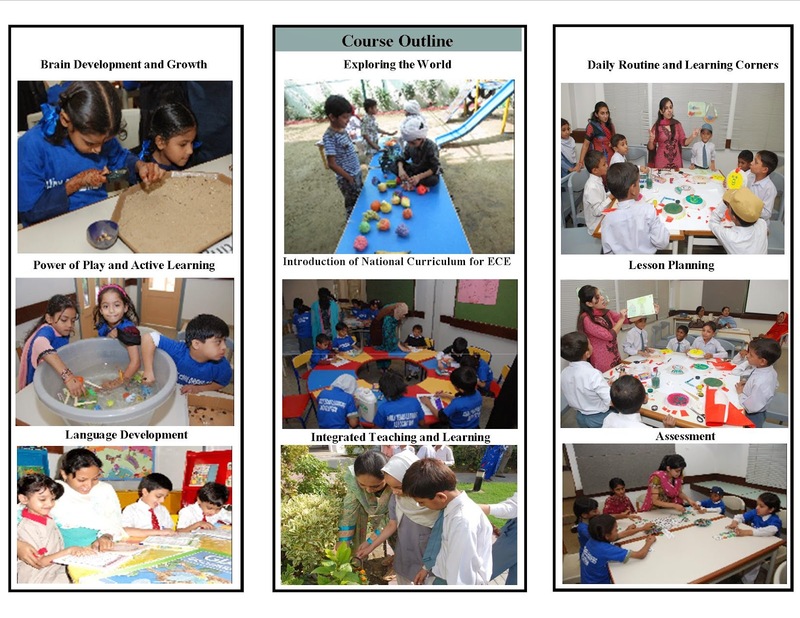 Participants will engage in interactive teaching pedagogies. 3. Opportunities to discuss and extend their learning of question-writing for assessing students’ learning. Time : 09:00 a.m.- 01:00 p.m.
Aga Khan Higher Secondary School. Registration deadline is June 11, 2014. For registration, please fill in the attached form and submit it to PTAN Office (PTAN c/o IED-PDC, 1-5/B-VII, F.B. Area, Karimabad, Karachi-75950) along with the registration fee (Cash or Pay order in the name of "The Aga Khan University"). For queries please email us at registration@ptan.org or call 021-36826991-94/36347611-14 Ext. 8554/8556. On behalf of APEE Executive Committee, we would like to invite you for the academic session to be held on Saturday, May 31, 2014. Ø What is ethical intelligence? Ms. Rani M. Karim has done M.A (Islamic Studies) from Karachi University and BEd. from Government College of Education. She has also done Certificate in Education: Primary Education from Aga Khan University-IED. Her teaching experience spreads over 12 years. 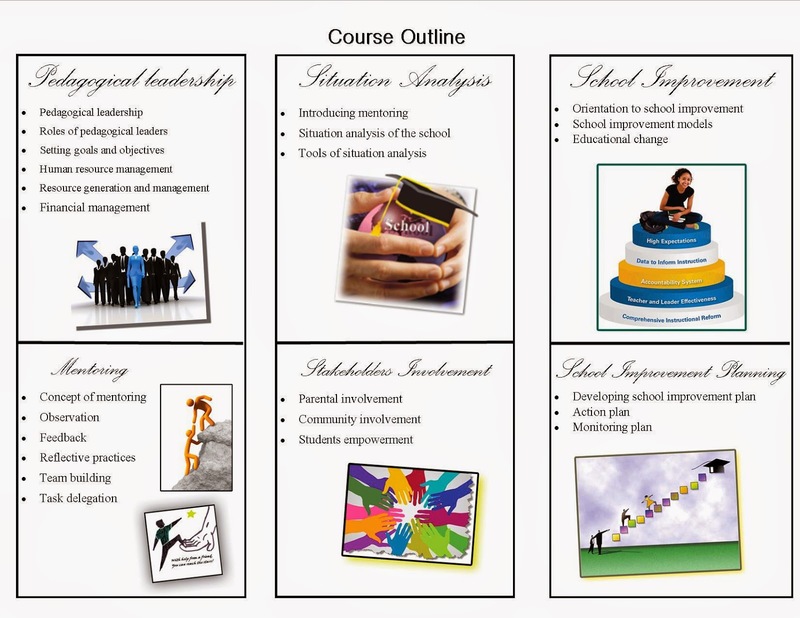 She has also written various concept papers, articles and conducted training sessions for teachers. Currently, she is working as Teacher Education in Ismaili Tariqah and Religious Education Board for Pakistan (ITREB, P). In view of limited seats available, prior registration for this workshop is mandatory. 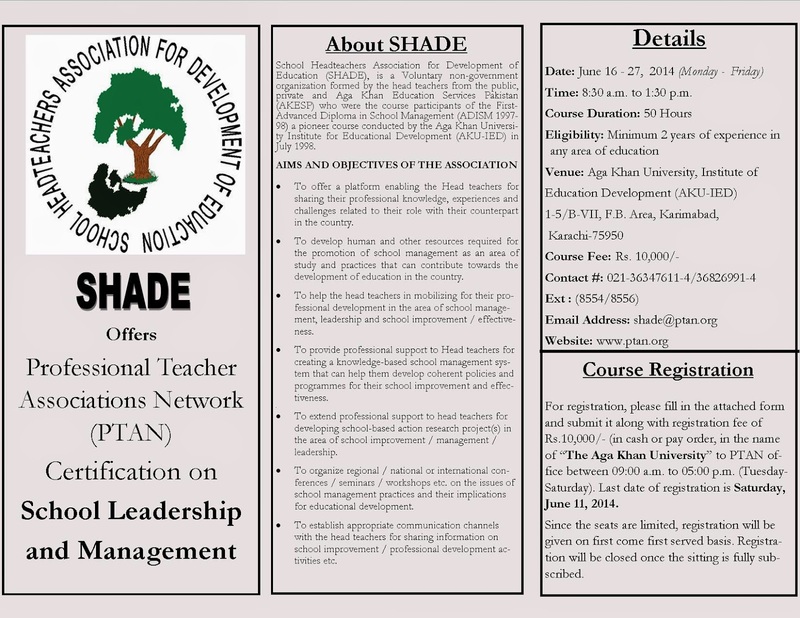 Kindly confirm your participation latest by Friday, May 29, 2014 at registration@ptan.org or 36826991-4 Ext. 8556/8554 (Tuesday-Friday), as this will facilitate us in organizing the session effectively. A child with Special Need has a right for equal opportunities by law. For a better future of these children we need to conquer our fears, change our thinking and attitude, followed by acceptance, exposure to outer world and inclusion in our society. Ms Muniza Moula Buksh and Ms Kiran Manzoor are certified Hypnotherapists, licensed NGH and NPL practitioners. Also, they work as Mind Science Specialists and Transformation Mind Technologies practitioners. In view of limited seats available, prior registration for this workshop is mandatory. 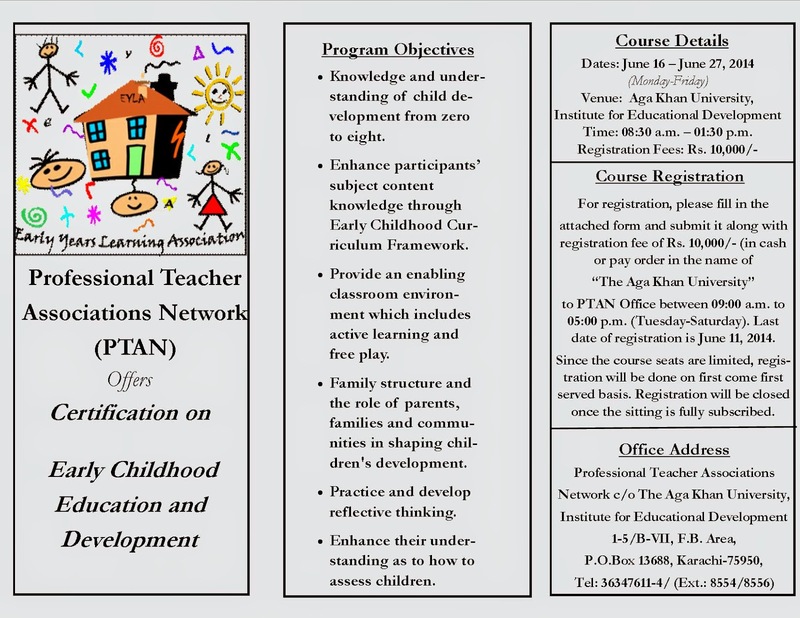 Kindly confirm your participation latest by Friday, May 16, 2014 (by 3:00 p.m.) at registration@ptan.org or (36826991-94/36347611-14 Ext. 8554/8556), as this will facilitate us in organizing the workshop effectively. No confirmation request will be accepted on Friday, May 16, 2014 after 3:00 p.m.
Ø What is a Story? Ø Story telling and its impact on learning. We would like to iterate that in order to provide quality professional development to all valued members and to run this association effectively we need your full support and punctuality. Since seats for the session are limited, interested members are requested to kindly confirm their participation latest by Thursday, May 15, 2014 at registration@ptan.org or 36347611-14 / 36826991-4 Ext. 8556/8554, as this will facilitate us in organizing the workshop effectively. On behalf of SAP Executive Committee, we would like to invite school teachers for the academic session to be held on Saturday, May 10, 2014. Facilitators: Ms. Iffat Nayyar, Advisor Professional Development Sindh Reading Program and Ms. Suraiya Yousufi, Chairperson SAP. Kindly confirm your participation latest by Friday, May 9, 2014 (by 4:00 p.m.) at registration@ptan.org or call 36826991-4 / 36347611-4 Ext. 8554 / 8556, as this will facilitate us in organizing the workshop effectively. AKU-IED offers one-year Advanced Diploma in Education: Educational Leadership & Management programme will assist educational leaders to develop better understanding of the dynamics of transforming educational institutions as learning communities and implications for improving quality of education and teaching-learning in their contexts. This will include hands-on skills in using action research, organisation learning and developing plans for monitoring and evaluating educational institutions. Prospective candidates should be serving educational managers. § At least 14 years Bachelor’s or Master’s degree with minimum 50% marks from recognized institute/University. § Candidates must have two years of working experience in an educational institution with minimum one year of management/leadership experience as head teacher, head of school, head of department, principal, vice principal, section head, deputy head teacher, coordinator, etc. Candidates who meet the above criteria will be expected to take an English Language test and participate in an interview. The Application Package can be obtained from Office of the Registrar, AKU-IED or can be downloaded from www.aku.edu/registrar.